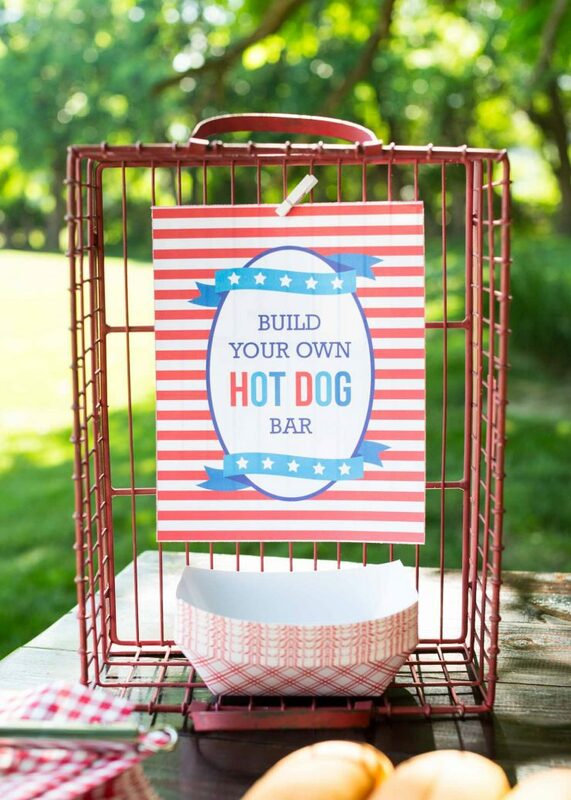 The 4th of July is just around the corner, so it’s time to start thinking about some 4th of July Party Ideas! This patriotic holiday is all about getting festive with red, white and blue. And we have a few simple (and gorgeous!) 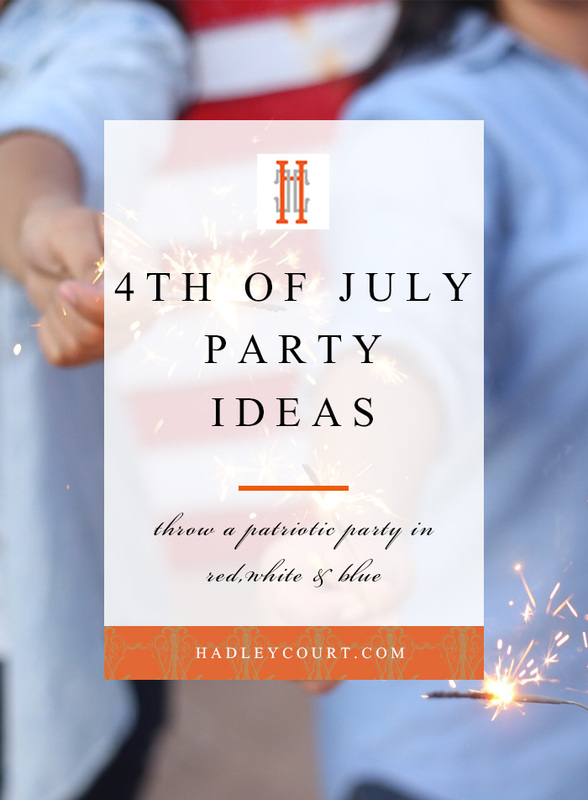 ideas on how to throw a 4th of July party that’s festive and fabulous. Keep things simple and tasty with a 4th of July signature cocktail. 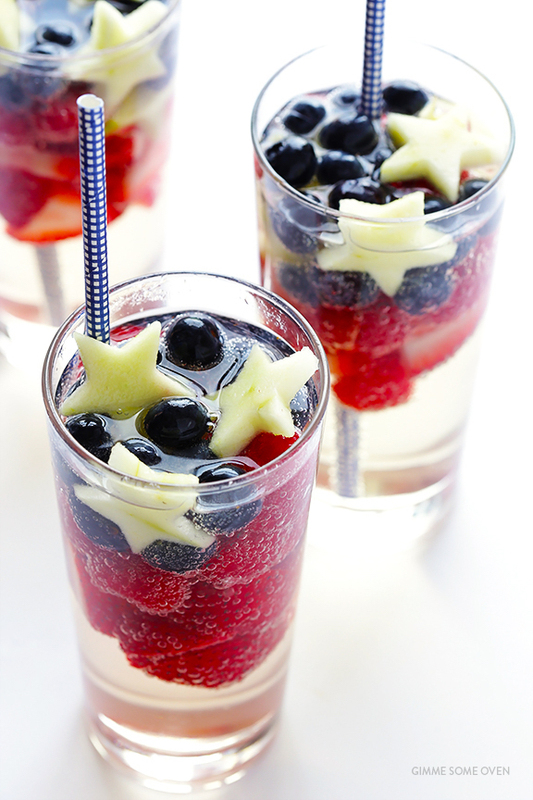 We love this Red, white and blue sangria recipe from Gimme Some Oven, which features raspberries, blueberries and apples cut into festive star shapes. 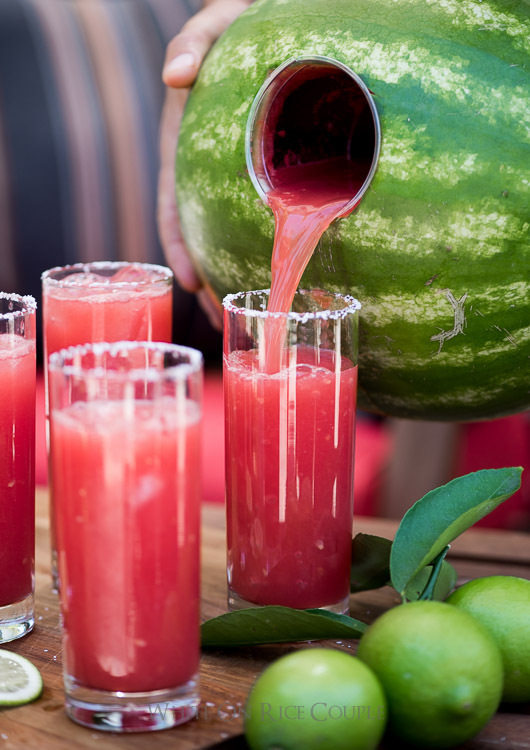 Another take on the 4th of July signature cocktail is this watermelon margarita recipe. The watermelon is truly the star here, which has been hollowed out and filled with a yummy homemade margarita recipe! It wouldn’t be a great 4th of July party without a backyard barbecue. We like the idea of keeping things classic and grilling on this patriotic holiday! 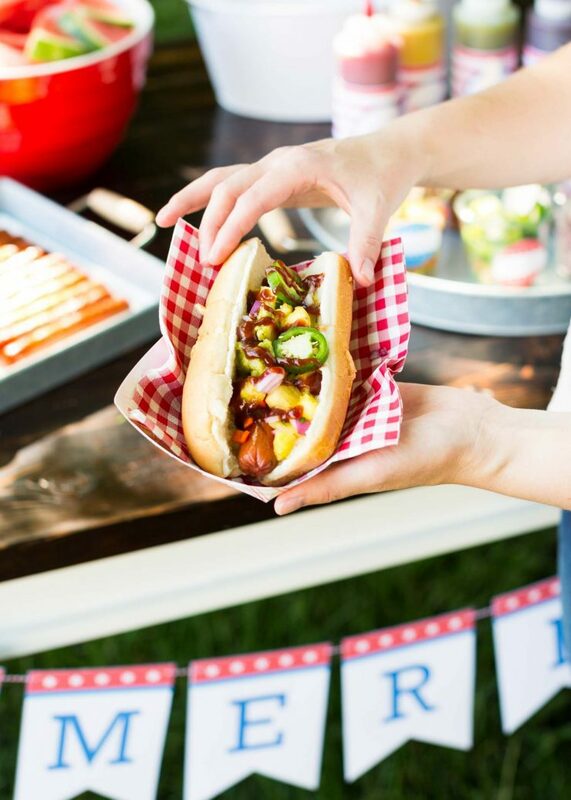 Host a build-your-own hot dog bar and let guests pile on the toppings. 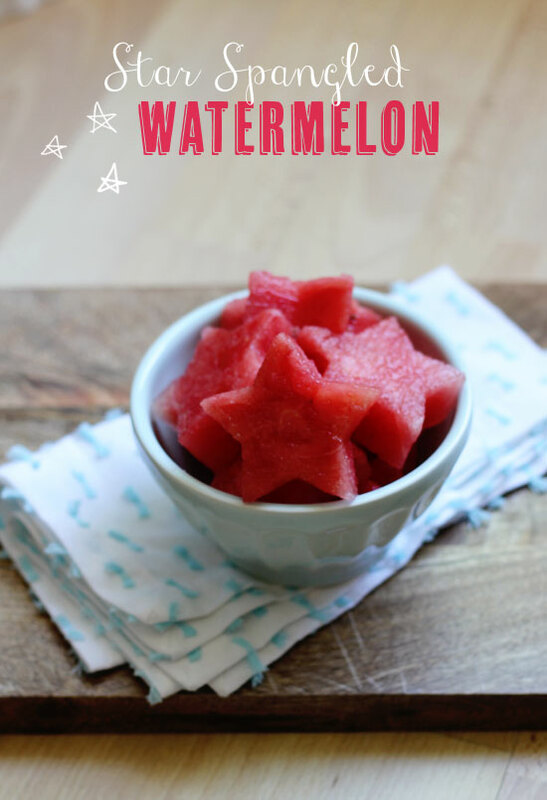 We love the idea of getting festive with the 4th of July party theme by cutting things into star shapes, like this watermelon. It’s fresh, fun and easy to pull together. 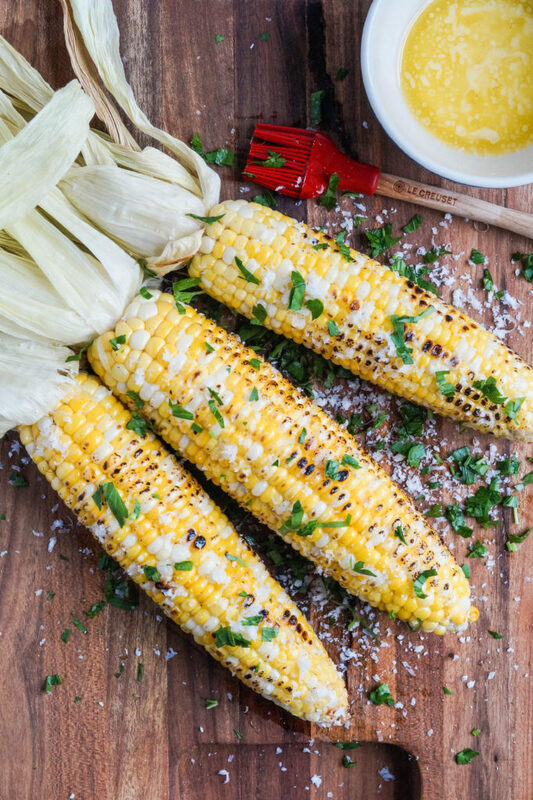 This parmesan garlic grilled corn recipe is also sure to be a hit among guests and only needs four ingredients! 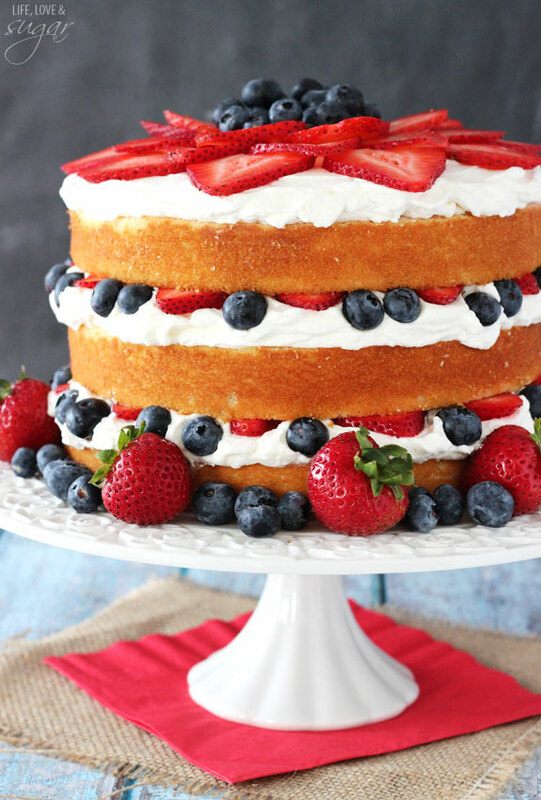 Incorporate red, white and blue into your 4th of July food ideas by serving up some themed dessert. This Fresh berry vanilla cake features layers of blueberries and strawberries wedged in between whipped cream for a light and fruity treat everyone will love. 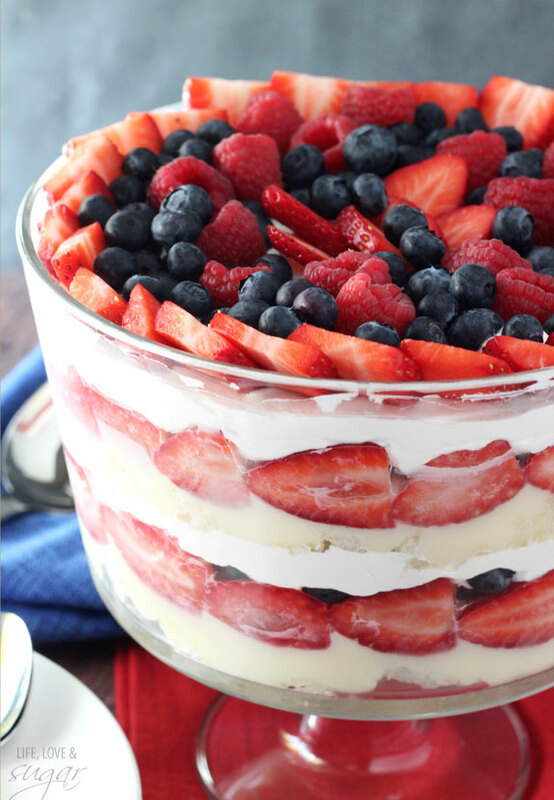 We also love this triple berry trifle cake, which is a classic 4th of July food idea. It’s another light and fruity option and easy to put together.